Eye care professionals specialize in understanding how the human eye really works, as well as diseases and conditions that affect your vision - many of which do not have obvious symptoms. Our Fort Lauderdale Eye doctors know how age and risk factors affect vision over time for young and old, and they understand the benefits and features of corrective lenses including eyeglasses and contacts. Paul Klein OD is a 1979 graduate of the New England College of Optometry. Dr. Klein is in private group practice specializing in contact lens care, laser vision correction, and therapeutic optometry in Fort Lauderdale, Florida. He is a Fellow of the American Academy of Optometry, and a Diplomate of the American Board of Clinical Optometry. Dr. Klein is the founding editor of Optometry Today magazine and is an Adjunct Professor of Optometry at the SALUS University, Pennsylvania College of Optometry. 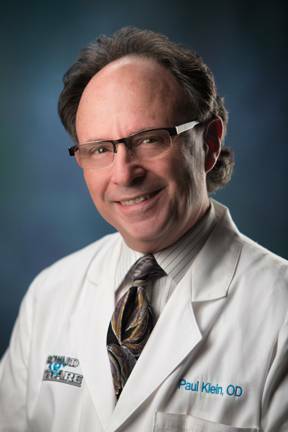 Dr. Klein’s professional achievements include President of the Broward County Optometric Association, Chair of the American Optometric Association Contact Lens and Cornea Section, and election to the National Academies of Practice. Dr. Klein has lectured and published nationally and internationally at various conferences and symposia. In addition he has participated as an investigator and consultant for numerous investigatve clinical trials of contact lenses and contact lens care solutions. Optometrist John H. Bascome, O.D. Dr. Bascome was born and raised in Fort Lauderdale, Florida. 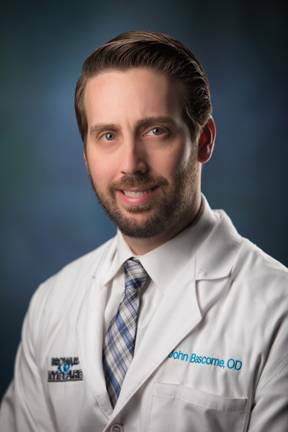 He earned his bachelors degree in Biology from Nova Southeastern in 2006 and went on to graduate with clinical honors in ocular disease and primary care from Nova Southeastern College of Optometry in 2010. While in optometry school, Dr. Bascome received an award for demonstrating superior clinical skills and excellence in the diagnosis and treatment of ocular disease. His clinical interests include, Specialty Contact Lenses, Dry Eye and Glaucoma Management. Dr. Bascome joined Broward Eye Care in 2012 and enjoys helping the community he grew up and still lives in. He believes in providing personalized care using state of the art diagnostic technology. When he is not spending time with patients, Dr. Bascome enjoys spends time with his wife and son, and exercising. He is enthusiastic about his career and is anxious to fulfill your optometric needs.